Wikipedia profile on William F. Friedman. William F. Friedman as original 1999 Inductee into NSA's Hall of Honor. Lambros D. Callimahos as 2003 Inductee into NSA's Hall of Honor. 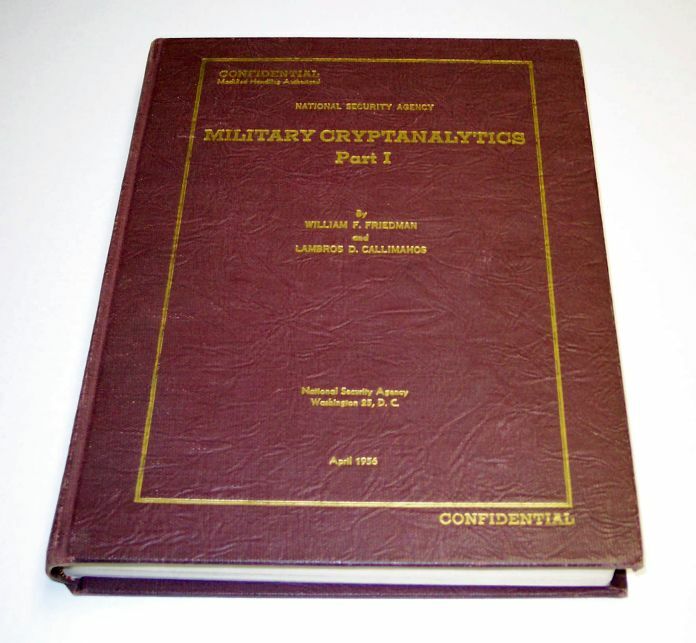 PDF article from Colonel Givierge titled "La cryptographie et les machines à cryptographier" from the March 1923 edition of "La Science et la Vie". Additional information from Siris Libraries. 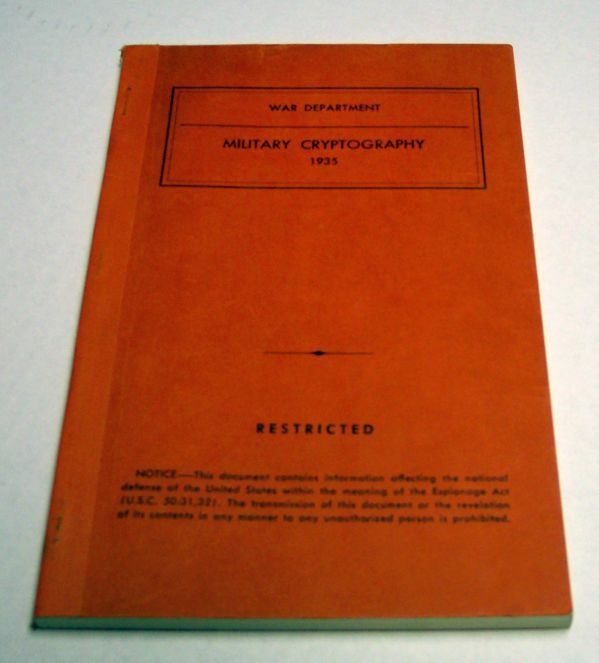 Click for larger photo Source: Personal Collection "Military Cryptography". 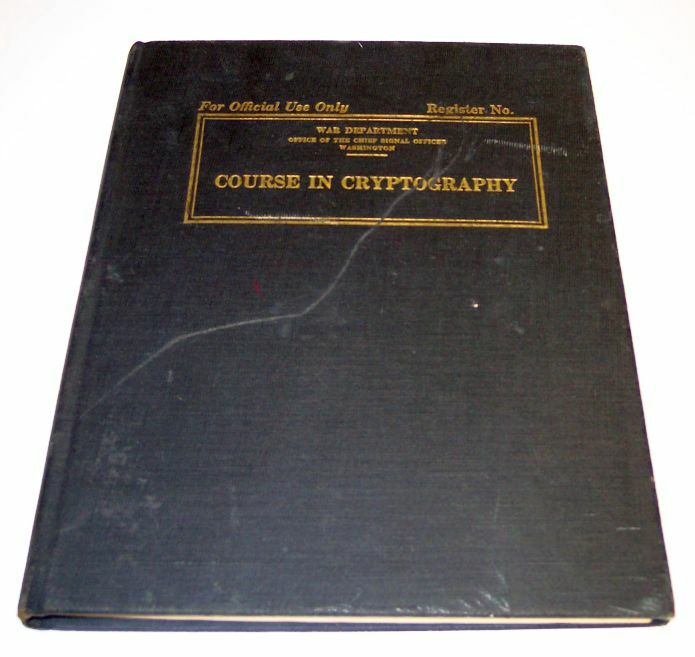 Published in 1935, this 113-page booklet contains two sections - the first is "Elementary Military Cryptography" (Special Text No. 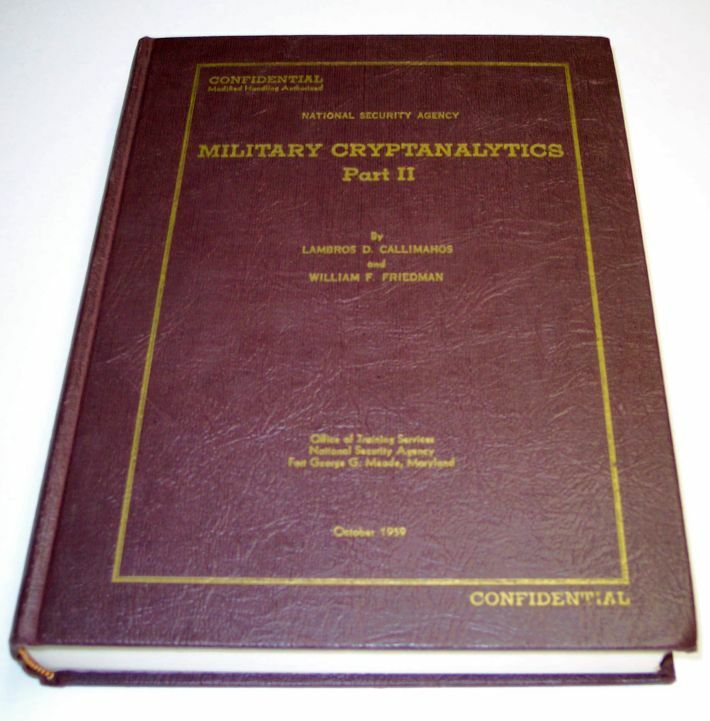 165) and the second is titled "Advanced Military Cryptography" (Special Text No. 166). Now declassified, this book was originally restricted. This publication was updated in 1944 and published in two separate booklets. 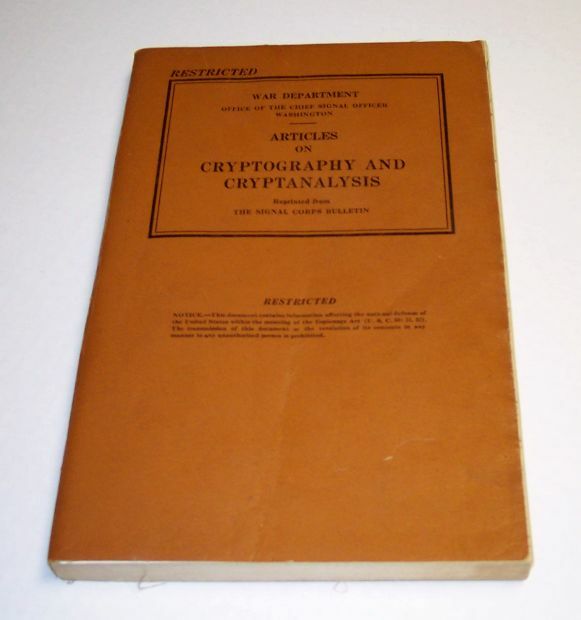 Click for larger photo Source: Personal Collection "The Friedman Lectures on Cryptology" - 1965. 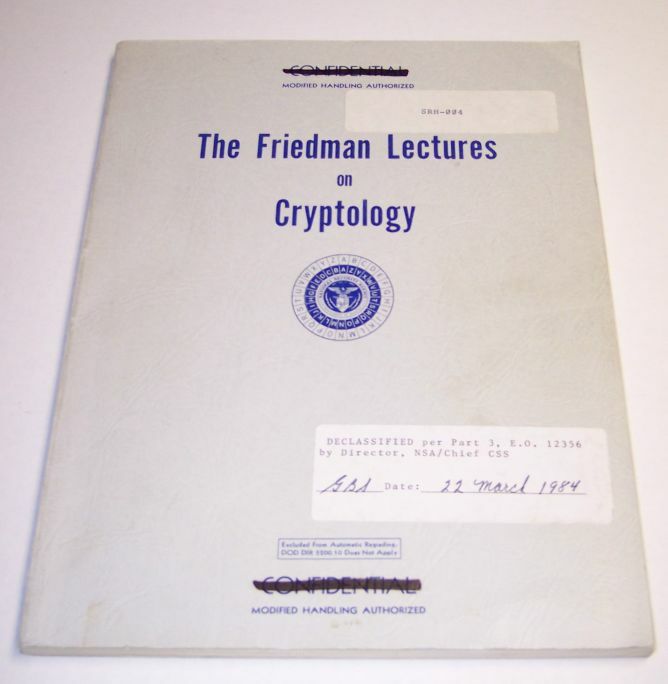 Originally published in 1965, this 182-page booklet contains various lectures given by William F. Friedman. The booklet was declassified in March 1984. This specific copy was acquired in 2008 from the former curator of the NCM Jack Ingram who added a personal inscription along with his signature. PDF version of this publication from CCH/NSA. If you have questions or suggestions, please email Richard at his spytools@sympatico.ca email address. Any content (original photos or text) which is displayed herein is for the strict viewing and educational enlightenment for those who visit this website. Other sites can link to content of this website or parts therein and must do so with appropriate and clear accreditation. The whole or any portions of photos and/or text herein or local to this website (i.e. which extend from www.campx.ca) must not be copied nor reproduced without the explicit consent of the author Richard Brisson at his spytools@sympatico.ca email address.